Custom valances transformed this Irving Park bay window. 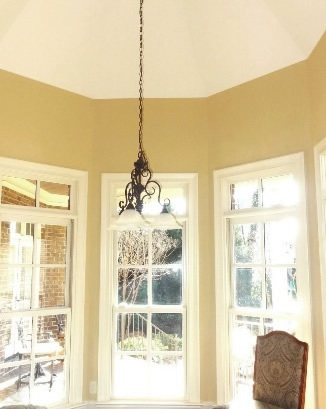 The ceiling medallion completes the look! We recovered the chairs in a beautiful blue, for a fresh new look. 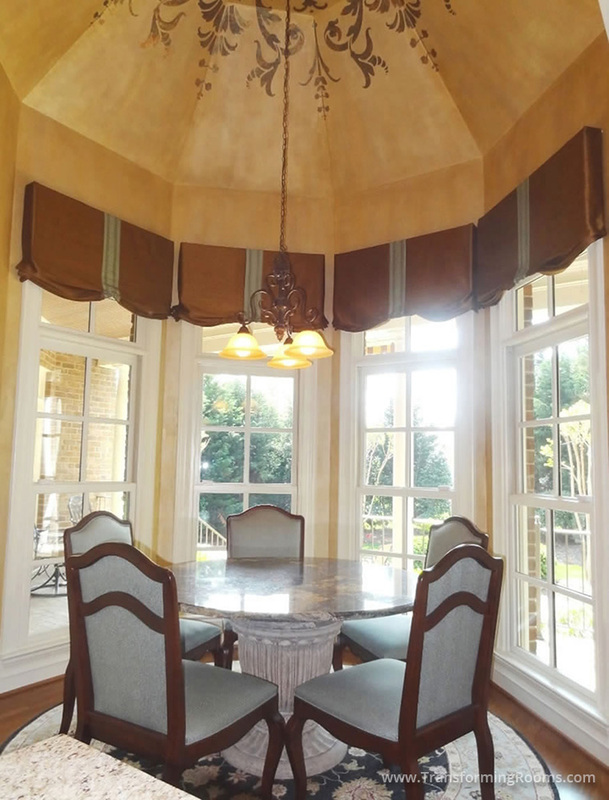 Our seamstress workroom can solve all your window treatment needs.